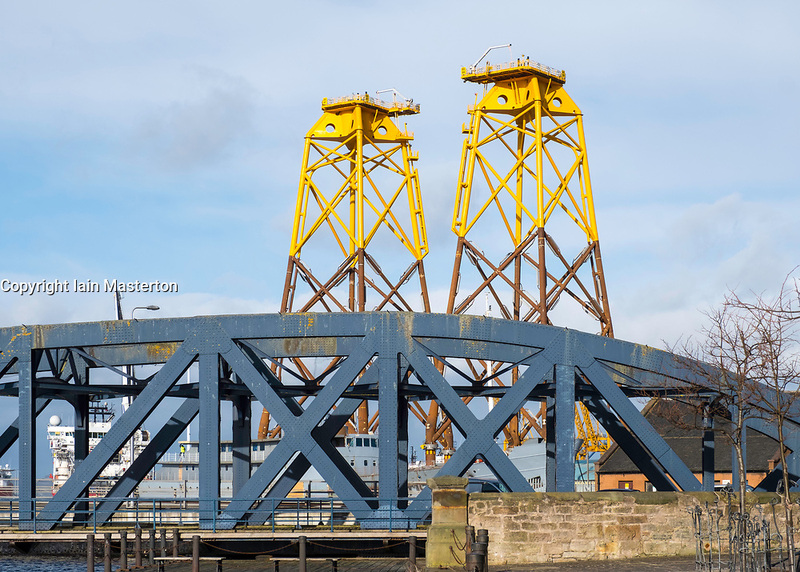 Offshore wind turbine sub-sea platforms in Leith, Scotland, UK. Large sub-sea platforms await delivery to Beatrice offshore wind farm in the North Sea. They were fabricated by Bifab, Burntisland Fabrications Ltd from Fife .